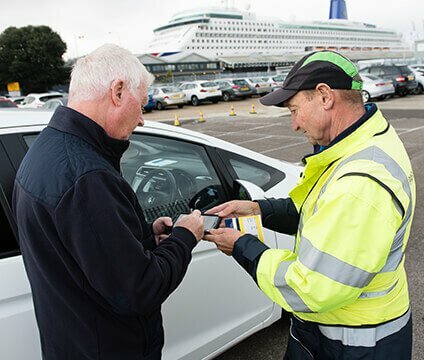 With almost a decade of cruise parking experience, Parking4Cruises has been able to streamline our process to ensure it's completely stress free. 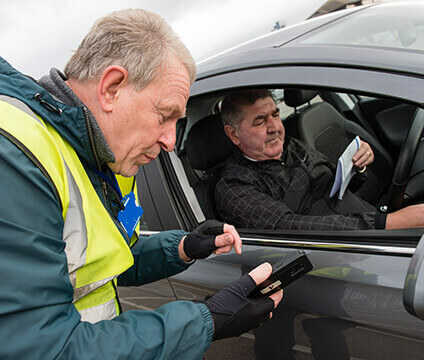 Book your parking using our easy-to-use online booking form - you can book in under 3 minutes. We'll send you an email confirmation with instructions on what to do on the day of your cruise. From time to time, cruise schedules change, and the terminal that cruise ships arrive at changes a few days before they're due. If this happens, we'll send you an email to let you know - so you can be sure you're arriving at the right terminal. 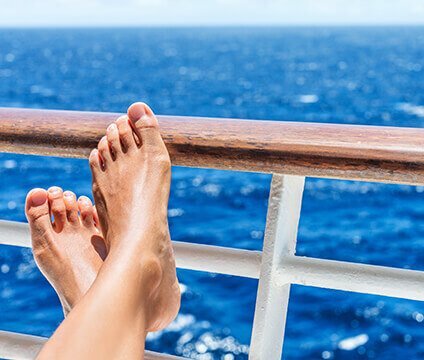 On the day of your cruise, follow the directions included in your email confirmation. We'll send you an SMS message to let you know we're expecting you, so make sure you have your mobile phone turned on. When you're about 30 minutes away, ask a passenger to send us an text message to let us know you're nearly here. This means we can make sure we have meet and greet staff ready for your arrival. Once you arrive at the short stay car park near your cruise terminal, look out for our flag! One of our staff will greet you, and take you through our check-in process. Parking4Cruises have a dedicated app that our staff use to make the check in process quick and easy. We take photos of your vehicle and inspect your car for any existing damage. 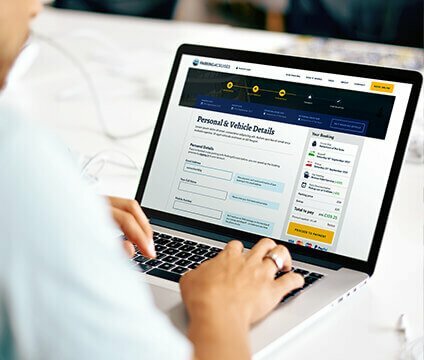 You'll be able to see our damage report and sign that you're happy with it. 4. Have a fantastic cruise! Once the check in process is complete, you're free to head to your terminal and leave the rest to us! We'll park your vehicle at our secure facility while you're away. All that's left for you to do is enjoy yourself, and have the holiday of a lifetime - all without any worries about your car. 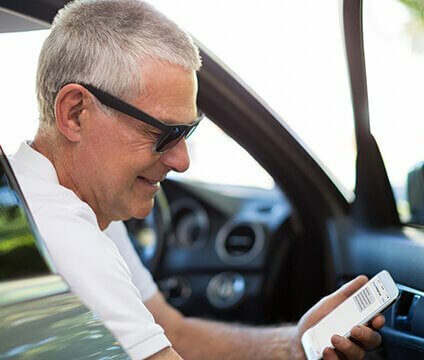 On the day you arrive back, we'll send you another text message to let you know that your car is ready to be collected. We'll be waiting for you in the short stay car park at the cruise terminal that you arrive at. This is usually the same one that you dropped your car off at, but not always. When you pick you vehicle up, we encourage you to carry out a visual inspection to ensure you're happy with the condition of the car. And with that, you're on your way back home!